Buying your first place has long been a rite of passage into proper adulthood in America, but the prospect of home ownership feels far out of reach for lots of young people living in major cities these days. Astronomical real estate prices coupled with stagnant wage growth are making it seem all but impossible for even the biggest penny pinchers to cobble together the funds necessary to make it happen. So, what sort of income does it take to afford a house in or near a popular city in 2018? 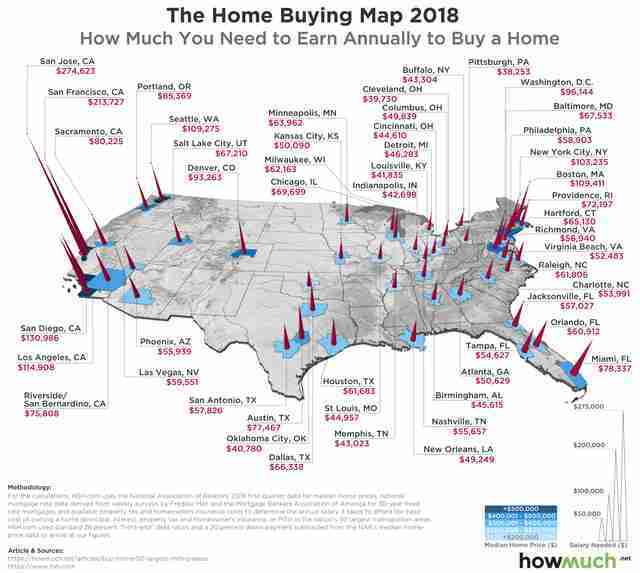 Fortunately, we have a bit more intel on exactly that, thanks to a new map (shown below) that reveals what you must earn to buy a home in the 50 largest cities in the United States. This enlightening new visualization comes courtesy of the folks at financial literacy site HowMuch, who culled data from the mortgage and loan site HSH.com to determine the median home price in the 50 most populous metro areas. Without getting too technical on their methods, they then crunched the numbers to figure out how much buyers would have to shell out for a 30-year fixed rate mortgage (e.g., monthly principal, interest, property taxes, and insurance payments), assumed a 20% down payment, and also held to the standard that one's total housing payment should exceed 28% of their gross income. If you're wondering where you need to make the most to afford a place, it's San Jose, California, where you need to earn at least $274,623 every year, while fellow California cities, San Francisco and San Diego, rank number two and three, respectively. At the other end of the spectrum, Pittsburgh happens to be the most affordable city on the list, where earning just $38,253 per year is enough. Here's how the 10 most expensive cities on the list rank, and how much you need to earn in each to buy a median-priced house. Unsurprisingly, the priciest locales are along the coasts, though people on the West Coast need to make quite a bit more to afford a place than those on the East Coast (all top four cities on the list are in California). It's also interesting that you actually need to make slightly more per year in Boston than you do in New York to be able to own a home. Meanwhile, it's possible to afford a home without raking in the big bucks in cities up and down the middle of the country, where there's not a single major city that requires an annual six-figure income to do so. 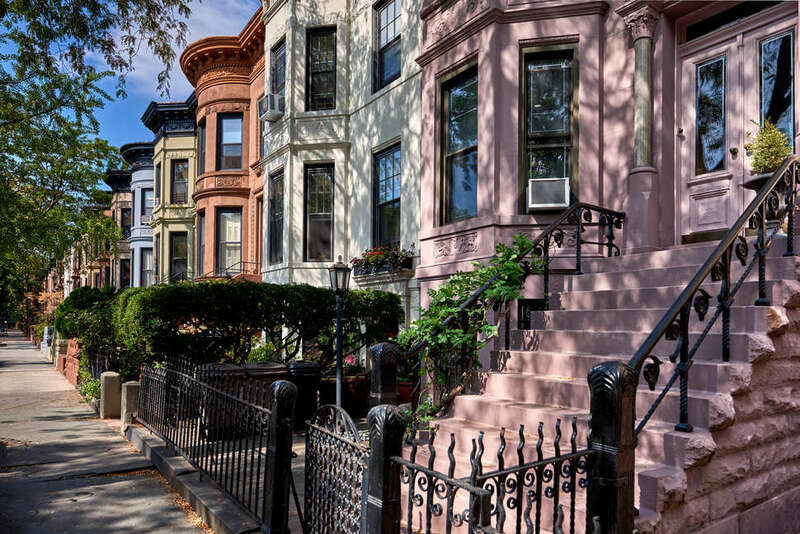 However, as the HowMuch team points out, even though the median household income in the country is hovering at a relatively high $61,400, that's still not enough to afford a median-priced home in 25 of the 50 cities on the list. Then again, it's not like things aren't totally bleak, since there are still plenty of wildly underrated cities in America out there with lots of cheap homes up for grabs.